SEO or search engine optimization has evolved tremendously over the last years. It is a marketing technique used by website owners to increase traffic to their pages by making sure they are visible in search engines when users search for a related query to their niche. Once there is a significant traffic coming to their sites, they will have leads and eventually close some sales. This is why blog owners spend so much time on how to learn SEO successfully. Back then basic keyword researching and knowing a little how backlinks work can land you to Google or other search engine sites first pages. But now, things have become more complicated with a lot of other aspects to consider and work around. The creation of millions of websites has caused the changes to be necessary and require an advanced algorithm to filter the best information for the public. There are different factors being used by search engines to rank our websites in relation to a certain topic or keyword. If you want to get to the top of the search engines for your niche, then you have to learn SEO by hook or by crook. It may sound intimidating at first, but if you would just be patient in learning SEO then eventually it will pay off soon. With that, I have come up with a couple of tips on how to learn SEO especially for the ones starting out their journey in the online world. With how competitive the world wide web has become and everyday the competition tightens, you have to commit yourself to learning if you want to get to turn your blog page into a mighty one. Reading is free with all the information you can get from the web. All you need is to make time for it and pick carefully the topics you have to familiarize yourself with. If you want to learn SEO fast then it is vital to know first what the basics that you have to learn are. Time is of the essence as they. Where you take your reading materials play also a big role in your learning process that is why you should go for credible sites that have made a mark already in the SEO community. I have listed some of my go-to sites when I started learning SEO which you will definitely find helpful. Moz – This site is considered as one of the top authorities in SEO and they have a huge online community of digital marketers. They offer different SEO tools which include but not limited to keyword research, page optimization and even site audits. It was founded by Rand Fishkin together with Gillian Muessig back in 2004. Search Engine Land – If you want to be updated on the latest news and info about SEO and SEM (search engine marketing) and the entire search engine industry, then you need to check this out. It even has a mobile application. Backlinko – Founded by Brian Dean just in 2013 and is famous for his blogs which helped thousands of digital marketers improve their online businesses. You will learn tons of valuable information about link-building that work well even in today’s market. SEOPressor – Jam-packed with different write-ups about what’s new, what works and basic how-to’s in SEO and SEM. This is a generous website to learn SEO free. A mentor is important because we can learn quickly when someone is guiding us and telling us specific things to do and giving us sound advices. You would be able to save so much time when you go to someone who already knows what works and what did not especially in the search engine industry. One of the perks of the online world is that it knows no geographical limitations. You can reach out to anyone at anytime of the day. Given this, you can easily look for SEO experts online and connect with them. You can also find many social media groups and most likely there are a couple of experts there which you can ask. Do not be shocked if some mentors will charge you for asking them to be your coach or mentor. Remember that you are requesting for their time and skills, hence it is just reasonable for you to pay them. As they say, you are the average of the five people you spend most of your time with. If you want to learn SEO effectively, it helps a lot to join an online community wherein you are exposed to real life experiences of people who do the same job as yours. I have mentioned earlier that there a lot of social media groups to begin with. Also, there are online communities and independent websites that you can join to help you learn SEO. Inbound.org – This is where online marketers go to for interesting and fresh news about SEO and inbound marketing as the name of the site suggests. It was started by Rand Fishkin of Moz and Dharmesh Shah of HubSpot which aims to educate marketers how to make their businesses prosper. GrowthHackers – Another great community you can participate in is GrowthHackers. Though they have same audiences with Inbound.org, this site caters to topics that can help you grow your site’s traffic. You can learn SEO hacks from here that might change your life! Google+ and LinkedIn SEO Groups – If you are into social media, then spend some worthwhile time learning SEO through social media groups like Google+ and LinkedIn. You can easily ask questions that you have encountered and expect answers in a quick period of time. After reading and spending some time to learn SEO, you would definitely come across how important it is to analyze some metrics on your site. Installing an SEO analyzer on your WordPress blog would be one of the smartest decisions and it could help you a lot identify the strengths and weaknesses of your efforts. Some SEO-related plugins will analyze your site, calculates your SEO score and would even offer suggestions on how you can improve your page. These plugins become instant scrutinizer and mentor that you can utilize anytime. If you have always been the experimental type, then why not try out new things since it is your site anyways. Right? The possibilities are endless when you are eager to learn SEO. 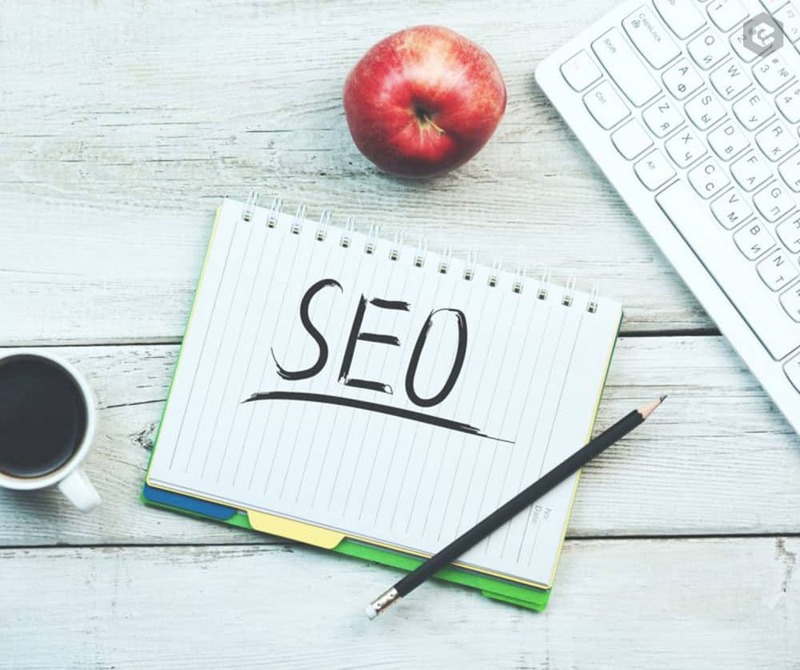 The SEO industry is everyday evolving and no one will exactly know for sure what tweaks and updates search engines would be doing from time to time. So if you have the time, resources and self-will to run some SEO experiments then go ahead. But before you go all-in scientist mode, be clear with your goal for trying an activity. Afterwards, be very mindful to keep track of your data. As for any newbie blogger who wants to learn SEO, surely one has to dedicate a significant time to cover the bases. SEO has become more technical over the years due to the growing competition but it is an essential tool for online marketers. Learning SEO skills will not happen overnight but will give remarkable results once mastered. I hope you enjoyed some of the above tips on how a beginner like you could learn SEO. If you have some thoughts or questions related to learning SEO, I would love to hear them. Jenn Pereira is Co-Founder of EasyBlog Themes, an innovative digital marketplace for high-end WordPress blog themes and plugins to help bloggers improve and grow their websites or blogs. As an experienced web designer and online marketing strategist, she loves writing to share her ideas to motivate and inspire bloggers to succeed on their blogging journey.